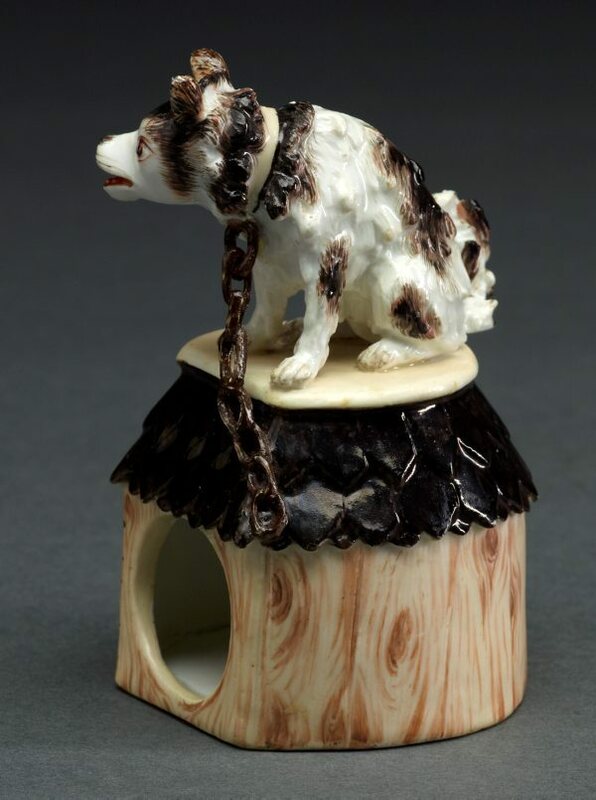 The model is probably one of the dog kennels on which Kändler is recorded working in February 1737. 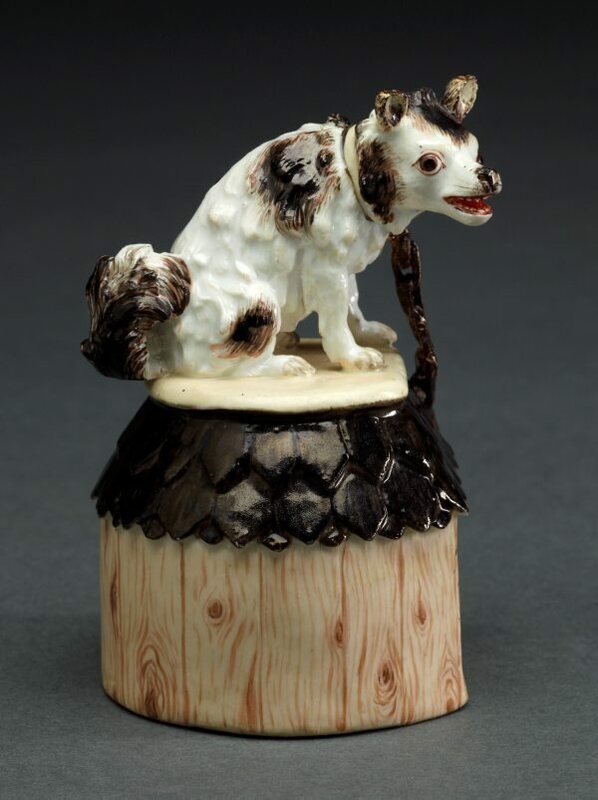 It was copied at the Du Paquier factory in Vienna, c1740. 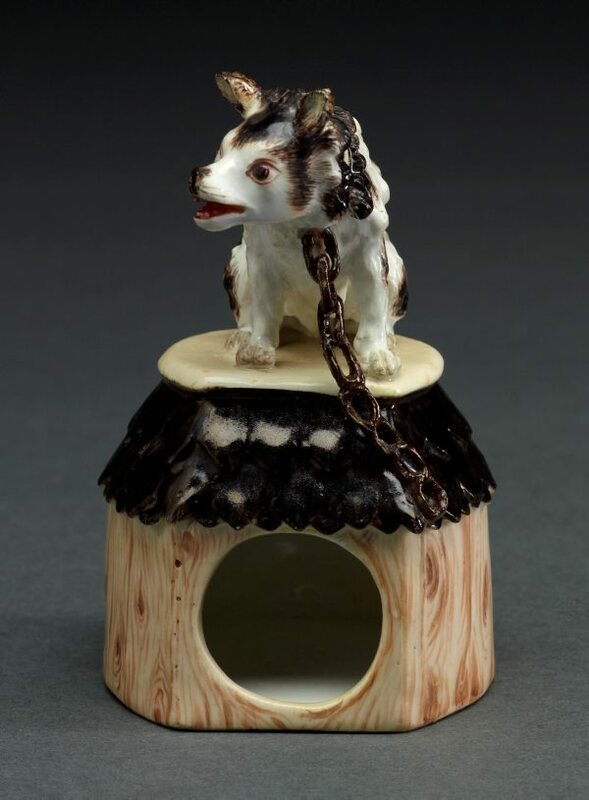 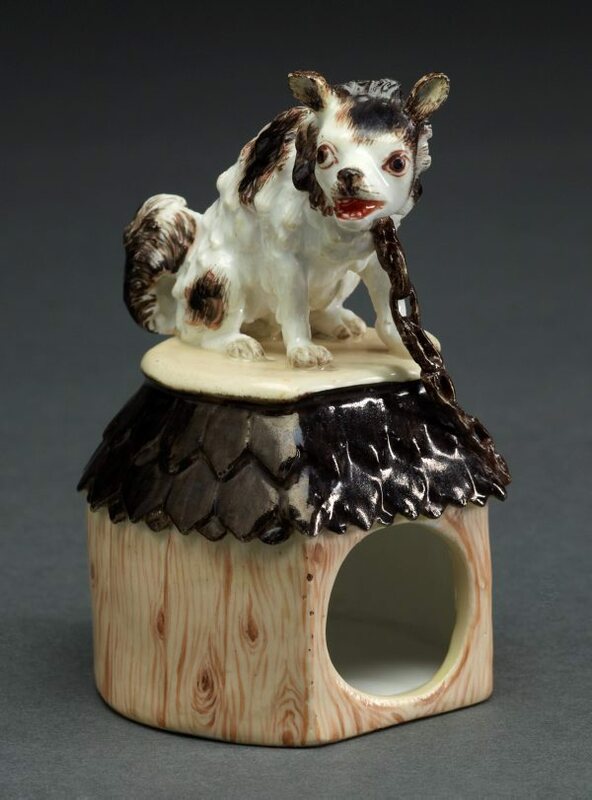 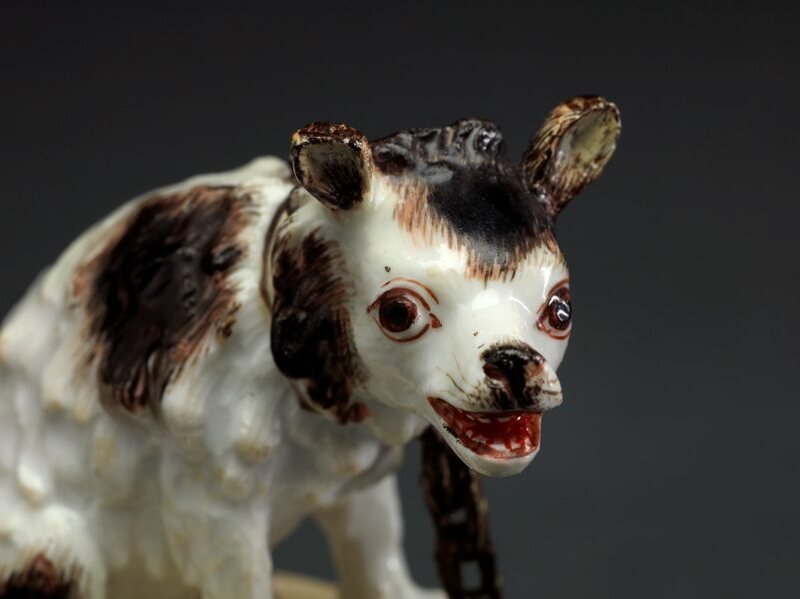 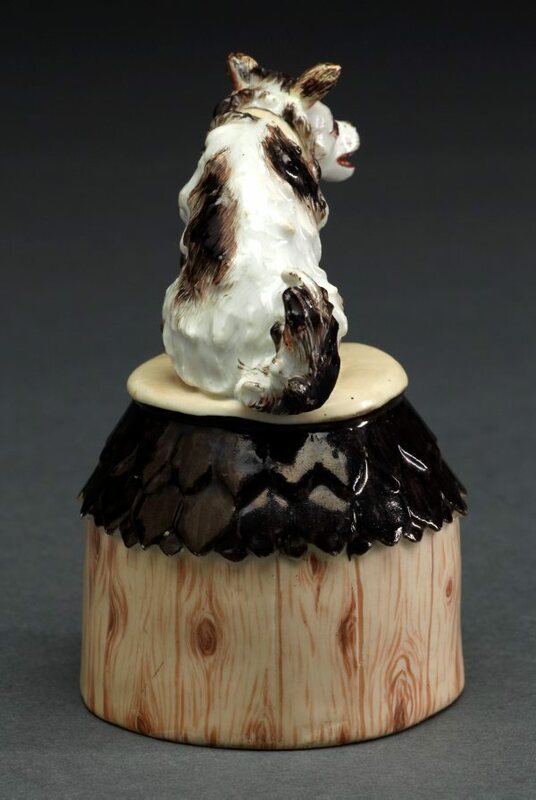 Three dog kennels are listed in the 1753 inventory of the remarkable collection of table centrepiece items accumulated by the Count von Brühl, prime minister and director of the Meissen factory under Augustus III.